When custody or child visitation issues occur between separated or divorced parents, one or both parents sometimes seek to curry favor with the child or children. 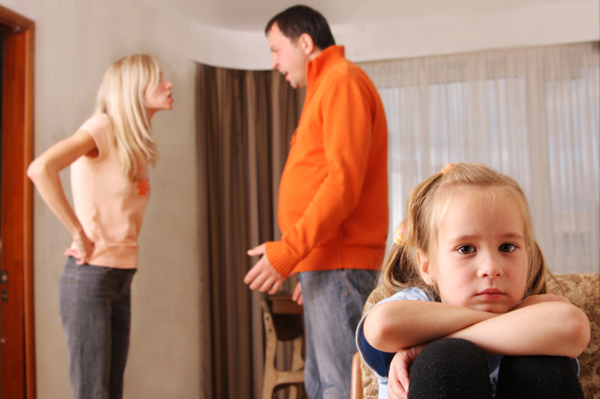 The parent takes this action either to ensure that he or she will receive custody or receive child support payments. In addition to currying favor with the child, some parents seek to undermine the relationship between the child and the other parent. When the child develops a strong resistance or rejection of a parent, that is disproportionate to that parent’s behavior, and this undermines that parent’s relationship with the child, this is referred to as parental alienation syndrome(PAS). In a Canadian study conducted between 1989 and 2008 involving claims of parental alienation, there were allegations that parental alienation syndrome was present in 175 cases. The study showed that in 106 out of 175 cases, the courts found that there was parental alienation present. In 60% of the cases the mother was the parent involved in alienating the child from the father. In 31% of the cases the father was the parent involved in alienating the child against the mother. The study found that although there were gender differences involved in the alienation of children, mothers were more likely to make unsubstantiated claims of alienation against fathers. The study also found that alienation is most commonly perpetuated by the custodial parent against the noncustodial parent. In the Canadian study the most common judicial remedy of dealing with parental alienation was to modify the custody arrangement. Parental alienation is being recognized by the courts in New York more readily then it has been in the past. There is still a reluctance among many judges to use changing custody as a means of addressing this issue. 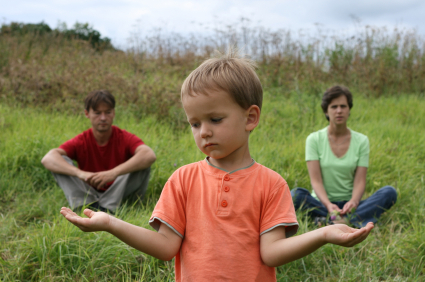 Parental alienation may have the impact of reducing one parents access to visitation with his or her children. The more significant affect of parental alienation is to deprive a child from having a relationship with two loving parents. Should you have any questions or issues concerning parental alienation feel free to contact Elliot Schlissel, Esquire at Schlissellawfirm.com or 1-800-344-6431. Tiger Woods and Elin Nordegren’s Post-Marriage Pre-Nuptial Agreement? Reports have been circulating the past few days that Tiger Woods has been in negotiation with his wife Elin to “update” the pre-nuptial agreement to induce her to stay in the marriage after news of several of his extra-marital affairs became public. Originally, the couple’s pre-nuptial agreement, signed in October of 2004, stipulated that Ms. Nordegren would receive a $20m payment from Mr. Woods after 10 years of marriage, which would have been in the year 2014. But with the recent revelations, news sources have reported that he has offered her an immediate payment of $5m and an additional $55m if she stays with him until October of 2011. The new agreement would reportedly also given her even another $20m if she stayed longer (totaling $80m). It would have also required her to attend public events with him and allow him to show the world (and his corporate sponsors, who are sticking with him so far) that he and Ms. Nordegren had reconciled completely. These reports make it (mildly) surprising that she left for Sweden this week, thus potentially forfeiting any payment under either the old pre-nuptial agreement or any new agreement. It would definitely be understandable if she simply felt that no amount of money is worth staying in a miserable marriage. Alternatively, her stay overseas may be temporary and the couple will be getting back together. Not much is known publicly at this point. It is noteworthy that although most news sources are reporting that the couple were in negotiations to sign a new “pre-nuptial agreement,” that term is not the correct one. If a couple who is already married signs the equivalent of a pre-nuptial agreement, it is called a “post-nuptial agreement” because the nuptials have already taken place. You can always contact the office by phone at 800-344-6431 or by e-mail for questions about pre or post-nuptial agreements, divorce, or any other kind of legal matter. You may view the video above to get information about Mr. Schlissel’s matrimonial practice in the Five Boroughs of New York City, Nassau and Suffolk counites. Our office has been representing matrimonial clients in New York clients for over 30 years. You can get additional information from our matrimonial law site and by contacting our office.